John Keogh was born in Johannesburg and spent much of his life in different areas of what is now the region of Zimbabwe.A construction contractor who has operated as the managing director for Costain and worked on projects for Grinaker-Lta, he now lives on Mauritius and works as a contractor for Rehm-Grinaker. His career has allowed him to explore various regions of Africa, all of which provide fond memories for John. Born in 1958, John has fondmemories of growing up in Africa and being able to explore and have fun all through his childhood. His parents met in Rhodesia(now Zimbabwe) and were married in South Africa. John’s family laughs about the fact that his mother and her family didn’t speak any English, while his father didn’t speak any Afrikaans. His father jokingly questions the legality of his marriage since he didn’t understand anything that was said during the marriage ceremony. John remembers his youth as being filled with days of leaving on his bike early in the morning with his pellet gun and a spirit for adventure and not returning until the evening. He believes that Africa is the only place where kids can learn how to drive a truck and a motorbike before their 7th birthday. In his high school years his parent worked in the Swaziland region while he attended CBC in Pretoria and finished his Matric. John met Mandy in 1986, and in 1988 they married in the eastern highlands of Zimbabwe, in a place called Inyanga. The first ten years of their marriage had them traveling throughout Zimbabwe for construction contracts, but in 1999 they were able to renovate an old farmhouse on 37 acres and become official first time homeowners. John is proud to point out that Mandy was responsible for all aspects of the renovation, from designing the remodel to decorating the interior, and that all he had to do was show up to inspect… and pay; an aspect of marriage familiar to many husbands. John and Mandy have a son and daughter. Their son is studying journalism at Rhodes University in South Africa. Their daughter resides in Zimbabwe with her husband and their two year old son. John’s parents, who are now in their eighties, are still farming and currently operate a 35 dairy cow farm outside of Harare. After settling into their home in Ruwa, John worked construction contracts for international company Costain. But the next few years would prove hard for the construction industry in Zimbabwe and contractors started working in Botswana, Malawi, and Mozambique. Without the investor confidence that once exuded in the region of Zimbabwe, construction jobs dried up. 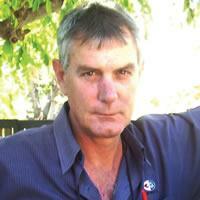 In 2007, John began working for Grinaker-Lta and was able to move his family to Cape Town. With the 2010 FIFA World Cup Soccer games being held in South Africa, Grinaker was kept busy with a multitude of projects to prepare for the onslaught of people that would be visiting South Africa for the games. One of John’s main projects included a multi-story parkade for the Cape Town International Airport. ".. amazed at how the island had grown and the development that had taken place." 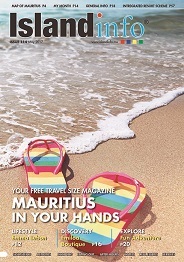 Revisiting Mauritius In 2010, John got the opportunity to work for the Mauritian office of Rehm-Grinaker. Not having visited Mauritius in 19 years, John was impressed,and as he puts it, “amazed at how the island had grown and the development that had taken place.” Deciding to make the move to Mauritius meant that the family had six weeks to relocate. The decision to move was difficult, but John is excited to be on the island and believes his family will be very happy living on Mauritius. with long hours and hard work, he believes that anything he does needs to be done right or there’s no point in doing it. John doesn’t spend all of his time constructing buildings, and two of his passions include golf and cricket. Although he considers himself a golf hacker, he likes to take advantage of Mauritius’s golf courses to explore his passion. And even though his careerkeeps him away from home many days and for long hours, he dedicates Sunday to his self and his family. Friends can find John and Mandy enjoying Sundays at home and dining on roast chicken or beef with Yorkshire pudding and all the trimmings. It’s the one day John truly gets to enjoy his new home on Mauritius.